Securities and Exchange Board of India (SEBI) has issued fresh guidelines for mutual fund investment in derivatives. In a circular this week, the market regulator has said that mutual fund schemes (excluding Index Funds and ETFs) can now write call options subject to certain conditions. The schemes must use a covered call strategy to write call options for constituent stocks of Nifty 50 and Sensex indices only. In December 2018, the number of Mutual Fund folios increased to 8.07 crore. Equity schemes lead with 6.12 crore folios. Debt fund folios just fell short of hitting the 1 crore mark, with 98 lakh folios to their credit. The increase in number of folios is being attributed to increased awareness of Mutual Funds among retail investors. During the week, investors turned bullish on hopes of interest rate cut by RBI after the latest data on retail inflation. Indian retail inflation, measured by Consumer Price Index, has dropped to 2.19% in December, from 2.33% in November. 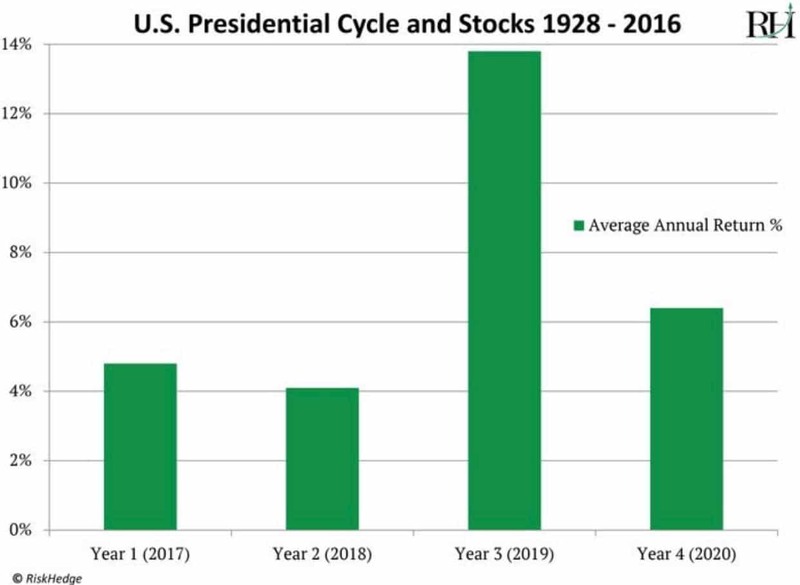 RiskHedge analysed the past 22 US presidential cycles and concluded that the 3rd year of presidency is the best for the US stock market. A strong US stock market is a usually a positive sign for global stock markets as well. 2/ Motilal Oswal Mutual Fund announced the resignation of Aditya Makharia. He was the Vice President – Head of Research at Motilal Oswal AMC. 3/ UTI Mutual Fund announced the resignation of Suraj Kaeley. He was the Group President – Sales and Marketing at UTI AMC. This market update was initially published by CNBCTV18 in the Personal Finance section.